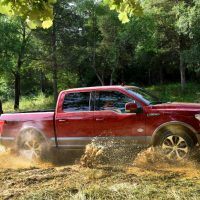 When Ford announced it would offer a 3.0-liter diesel in the 2018 F-150, it got the attention of truck buyers. 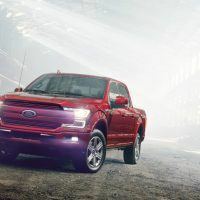 Ford designed and engineered this all-new V6 diesel engine to the specific needs of U.S. F-150 customers, with 250 horsepower, 440 lb-ft., of torque, an estimated 30 mpg on the highway, and 11,400 lbs. of towing capacity. Ford says these numbers are best-in-class, though there’s not much competition. The only other half-ton pickup to offer a diesel engine is the Ram 1500 EcoDiesel, with 240 horsepower and 420 lb-ft. of torque. 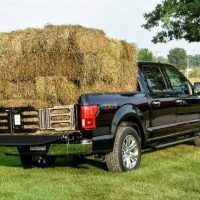 This weekend, we drove the 2018 Ford F-150 Power Stroke Diesel in a 4×4 SuperCrew configuration. 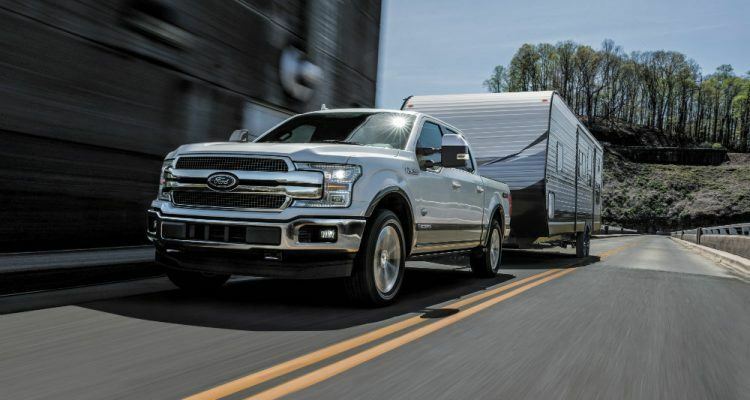 Ford offers their smallest Power Stroke engine to combine fuel economy and towing prowess for those who haul frequently. The 2018 Ford F-150 Power Stroke Diesel (4X4 SuperCrew – Lariat) comes standard with 18-inch wheels, keyless entry and ignition, power-adjustable pedals, dual-zone automatic climate control, driver’s seat memory settings, ambient lighting, leather upholstery, and ventilated front seats. Other options included the upgraded mirrors, remote tailgate release, and front-facing spotlights. Our F-150 tester was a pre-production model and not for sale. 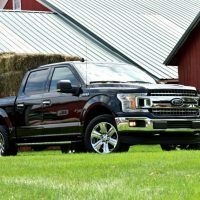 Ford did not release exact pricing. 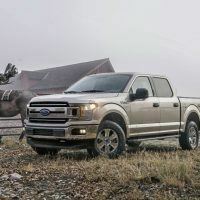 Depending on the configuration and trim level of the truck, expect an up-charge of $3,000 to $4,000 for the Power Stroke engine. Our tester came with the Lariat’s power running boards that slide out when you open the door. It’s a good thing because the F-150 requires some effort, even for the average adult, to climb in. They made it easy for my wife to climb up into the cab. 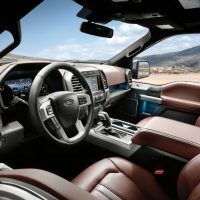 The Lariat’s interior is luxurious with heated and cooled, power-adjustable leather seats we think are the most comfortable in the segment. 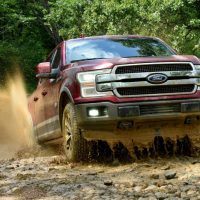 The F-150 is America’s best-selling truck for a reason. It’s solidly built and, despite its fancy interior, is ready for heavy-duty work. There’s plenty of space inside and taller or shorter drivers won’t have any issue finding the perfect driving position. Large and tall passengers will find plenty of space to stretch out in the cavernous back seat. The SuperCrew’s back seat will comfortably fit three tall adults, with plenty of head, leg, and shoulder room. 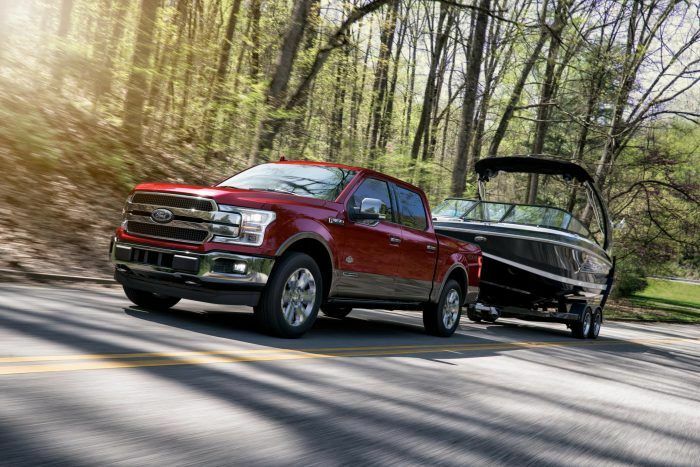 Overall, the F-150 Lariat gets high marks for everyday ease of use and interior quality. Combined with high ratings for comfort, it’s a pleasant place to spend a full day on the road. Ford’s new Power Stroke features a variable-geometry turbocharger to reduce turbo lag and a common-rail fuel injection system. A high-pressure, 29,000 lbs. per square inch injection calibration enables smoother, quieter operation while reducing emissions. 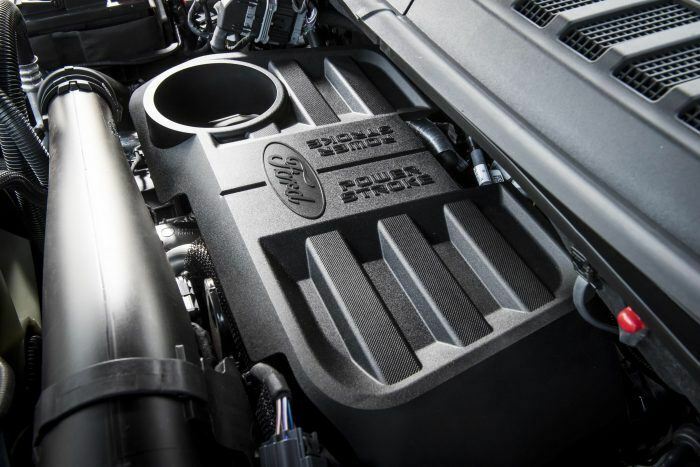 The new Power Stroke is mated to a 10-speed automatic transmission. EPA estimates come in at 22/30 city/highway and 25 combined mpg. For those who remember the noisy, smelly diesels of the past, this new 3.0-liter Power Stroke is surprisingly quiet. You won’t know it’s a diesel aside from the initial telltale diesel clatter when you first hit the push-button start. Inside and underway, this Power Stroke sounds far more like a mild-mannered gasoline V6 than a heavy hauler. 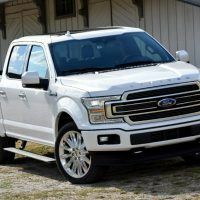 As we powered the F-150 up I-70 at 8,000 ft. altitude west of Denver, the 3.0-liter V6 had all the grunt needed to pull hard with peak torque available at just 1,750 rpm, coupled to a 3.55:1 rear-axle ratio. The F-150’s Power Stroke features a mechanical, engine-driven fan and dual radiator shutters to boost high-altitude performance. When needed, we could slip the shifter into manual mode, which allowed us to select a gear for optimum engine braking while rolling down the steep mountain. The 10-speed automatic gearbox worked in concert with the Power Stroke engine. It made smooth shifts and never had to hunt for the right gear. Our tester came with Normal, Sport, Eco, Tow/Haul, and Off-Road modes, meaning the truck’s powertrain characteristics change depending on the kind of work you need to do. On the open road, the ride was remarkably smooth, controlled, and quiet, in spite of keeping our foot in the diesel powerplant. My wife had to remind me that I wasn’t in a sports car. 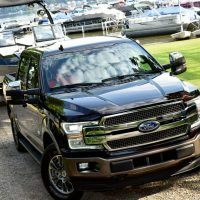 Full-size pickup buyers looking for a high-torque engine to pull a trailer full of snowmobiles or ATVs, or a camping trailer for the weekend; this one will be the ticket. And taking the family along is an easy chore with the luxurious and large cabin. 2018 Ford F-150 Official Site. 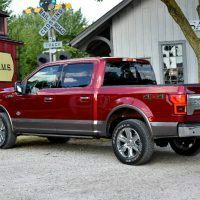 No Comments on "2018 Ford F-150 Power Stroke Diesel Review"